The allegory of cave from Plato and Socrates clearly depicts the funny battle that is going on between the religious people and the non-theists. Here is a small dialectic of my thoughts. Atheist: You're broken, you use faith to accept something as valid which is inconsistent. Theist: You're the one who is in ignorance, you're like those prisoners in the cave who ridicule and make a mockery of those prisoners who were set free and who have achieved enlightenment and had seen the light. Athiest: You don't question the existence of god and just accept it on blind faith. Theist: You don't question the experience from your senses and you just accept it as real. For me anything or anyone outside of it is god. Atheist: Religion has not contributed anything to the progress of humanity and you're self deluded and the idea of god is an infectious meme which needs to be minimized. Theist: The natural world is ever changing, there is no point in investing our time in something which will eventually turn into a star dust. The world of forms is eternal and unchanging and truly worthy of knowing. You're the one who is deluded. Atheist: We need to minimize the impact of religion and our political leaders should make rational decisions which affects all our lives in turn. Theist: No, the world should be run by philosopher-kings who can give the right justice based on their knowledge in lofty things. Atheist: We have explanations from pyschology as to why you hold such childish beliefs. Theist: We have theistic explanations as to why some people don't believe in God. Carl Sagan said of Plato: "Science and mathematics were to be removed from the hands of the merchants and the artisans. This tendency found its most effective advocate in a follower of Pythagoras named Plato." and: "He (Plato) believed that ideas were far more real than the natural world. He advised the astronomers not to waste their time observing the stars and planets. It was better, he believed, just to think about them. Plato expressed hostility to observation and experiment. He taught contempt for the real world and disdain for the practical application of scientific knowledge. Plato's followers succeeded in extinguishing the light of science and experiment that had been kindled by Democritus and the other Ionians." I am just too ignorant of many things to call anyone broken. According to Max Muller, the proto Indo-Iranian religion started off as sun worship and later branched into independent religions of the Persian god of Mithra and the Vedic god of Mitra. Mithraism was one of the most popular religions of the roman imperialism along side Christianity and the origin of Mithraism in Rome is still under dispute (See - Mithraic Mysteries and Mithraism and Christianity ). The text is a segment of the "Great Magical Papyrus of Paris", sandwiched between two sections of Homeric quotations. The Papyrus was acquired by the Bibliothèque Nationale in 1857. It most likely originally came from Thebes in Egypt. It can be dated on paleographical grounds to early fourth century, but the text presupposes a much longer process of development. The origin is most likely around 100-150, then it was used in a ritual context in an Egyptian Mithras Cult from 150-200. This is followed by a period of adaptation and development by magicians from 200-300. As it is now "the text is thoroughly Hellenistic-Egyptian without any traces of Christian, Christian-Gnostic, or Neo-Platonic influences, although traditions of Middle Stoicism are apparent, as is a certain closeness to Hermeticism"(9). The author was most likely an expert on magical materials and had expertise as a literary scholar and writer. He has examined several versions of the text and offers learned comments on it. A review of Hans Dieter Betz, The "Mithras Liturgy". Text, translation and commentary. It was first coined as Mithras Liturgy by the german scholar Albrecht Dieterich. The Germans were always interested in these things and they are still interested in it even to this date. It was later translated into english by Hans Dieter Betz who also a german scholar. Here is an abstract pdf review of his book. Hans Dieter Betz PDF. Marvin Meyer - About Marvin Meyer who was interviewed in various TV channels like the National Geographic for the documentary of Gospel of Judas is a strong proponent of this view. Marvin Meyer is certain that the text has connections to Mithraism and believes that it "contributes a great deal to the study of magic, miracle, and ritual in religions in antiquity and late antiquity, including Christianity, and the stories of miracles attributed to Jesus and others may profitably be studied with texts like the Mithras Liturgy at hand." Marvin Meyer argues that "early Christianity ... in general, resembles Mithraism in a number of respects – enough to make Christian apologists scramble to invent creative theological explanations to account for the similarities". So there is evidence that these varieties of Mithraism which were being practiced in Egypt and in the Greco-Roman religions had its roots in the orthodox Mithraism of the Iranians and of the Aryans of the far east. As you can see the text of Mithras Liturgy appears from no where in between a section of Greek homeric writings about Zeus. The egyptian scholar seems to have had an habit of collecting religious rituals and clearly mentions about Helios-Mithras-Aion, the god to whom the text and the ritual is addressed to. The ritual is about achieving immortality by ascension of the soul into different realms, an epiphany which is a common feature in orthodox Mithraism where Mithras appear to help the initiate to guide him into a safe passage to the highest pleroma of the supreme God and these similar experiences have been documented by the later gnostic traditions where the term Aeons appear instead of Mithras to guide them into a safe passage upto the pleroma of God. This is a common feature to be seen in the orthodox Mitraism of the Vedic period and is still very much alive up until this age. The text's immediate context is a magical handbook, but it "stands out like an intruder from another world" with no parallel in other magical papyri. The wider context is Hellenistic mystery cults. Not much Egyptian religion appears and there is no evidence of Neo-platonic influence. The philosophy, being Stoic, could indicate an origin in the milieu prior to Neo-platonism. The ritual of rebirth is based in processes of generation and regeneration. The cosmology is Greek in origin, not Egyptian. It seems to reflect a nascent Hermeticism of the first or second century, but it has not developed into Gnosticism. Similar parallels can be seen in the works of a scholar from Bangalore named Devudu Narasimha Shastry(1920-1970's) who was well versed in these mystery religions and clearly describes the ascent of an initiate into higher realms. What is more interesting is that he too lived his life based on stoic principles and that confirms the stoic philosophy inherent in all varities of Mithraic religions. The scholar seemed to have behaved with a calm mind even after hearing the news of his son's death which came through a letter while he was away with his wife for a religious program and on that particular day he seemed to have given the most outstanding speech of his life and later when his wife came to know about this she had fell down unconscious and the scholar didn't even attended his son's funeral. The stoic philosophy is quite inherent in these religions. Now these things do deserve explanations and challenges our accepted worldviews and these things are bothering me from quite some time. The ritual might look magical to us but to those who have understood its deeper meaning knows the rational importance of such rituals. A collaborative work is needed to reconstruct the practical knowledge of such rituals and I don't even know where to begin searching for it. These claims do suggest that a God hypothesis is an equally competing hypothesis to explain our origins in the cosmos, its not the job of scientists to figure out this, this is a completely different numinous world and has nothing do with science, its the job of theologians and theists and they need to scratch their heads. There is an equal possibility that religion might provide us with true immortality. There is lots of evidence for god and one can see how silly it is for one to demand empirical evidence for god when the very realm of god is non-empirical. We have already lost a lot of knowledge and by suppressing such thinking we will lose it forever and New Atheists and people who directly attack faith have to address such things if they ever want to succeed in their campaign of intolerance towards religions. How to worship the Sun God? This is one of the ways to worship the sun god which is easier and effective for the modern people who go through hectic working hours and for those who don't have time to sit and do meditation for long hours. Meditation never worked for me, you cannot do meditation and gain something in a busy area like New York, Tokyo or any other capital cities and hence people travel to Himalayas to lose all contacts from the people around them to find a lonely and a silent place for personal investigation. There is no need to travel anywhere to know god giving up your loved one's, god is personal and he will reveal himself to you where ever you are if you're preparing yourself to see him. Many people in the west and across the world perform yoga just for the sake of keeping their body fit and healthy but they don't realize that these are the same methods which was used by the sages of ancient traditions to have revelations about god, they were gnostic theists, they believed that the absolute truth or god can be known. One has to pray the following verse in the begining of the method. 1. Stand facing the Sun with palms folded and both the thumbs touching the chest. 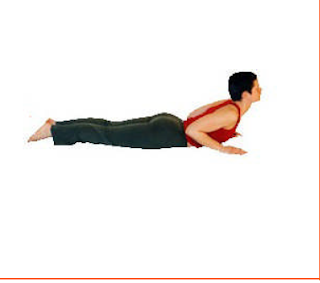 Breathing: Inhale while raising the hands and exhale as hands are brought down to chest level. 2. 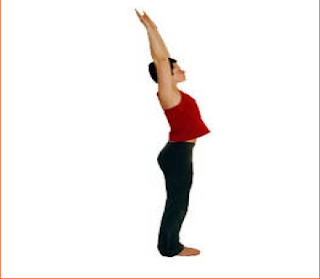 Raise hands upward, with feet firmly on the ground, bend backwards, stretch arms fully. 3. Slowly bend forward, hands touching the earth with respect, head touching the knees. 4. 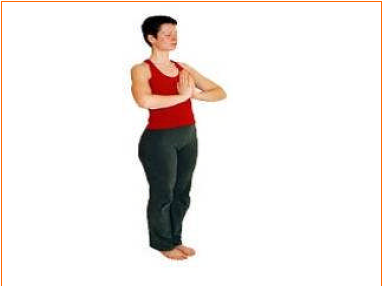 Set both hands with the palms down firmly on the ground, pull the left leg backward, raise the head looking at the Sun, full weight resting on the two palm and ten fingers. 5. 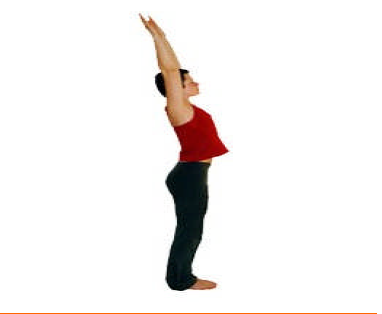 Bring right leg back close to left leg, keeping hands and legs straight, bend the body at the hip forming an arch, just like a mountain, known as 'parvathasan or mountain pose'. 6. Stretch yourself fully on the ground in the Saashtanga Namaskar pose (all eight 'anga' or parts of the body on the ground head, thigh, eyes (sight), mind, word, feet, hands and ears (hearing)). 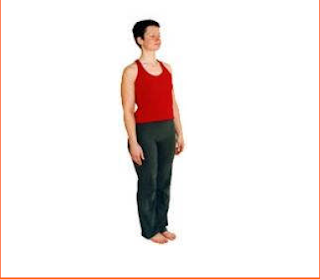 In reality, feet, knees, thighs, chest, forehead touch the ground with the hands stretched out and in folded position, with your mind and thoughts on the full namaskar, then slowly turn the head to the sides first to left and then to right so that each ear touches the ground. Breathing: Inhale first and then Exhale fully. 7. 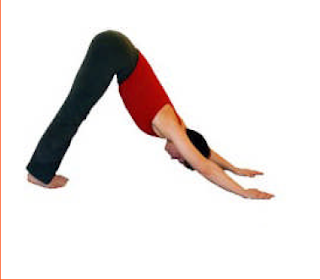 Slowly raise the head, bend backward as much as possible, hands straight, in the cobra pose. 8. Parvathasan same as Step 5. 9. Same as Step 4 with the difference that the right leg is brought forward. Breathing: Exhale, Inhale and Exhale. Are we living in an Immersive Virtual Reality? With the kind of advancements that is taking place in developing new synthesizing haptic, visual and auditory physical models achieving realism which is indistinguishable from the actual reality we are not far away from having our own virtual bodies in cyberspace. Natural Interactive Walking Project- video clips. While such advancements are inevitable the question arises are we living in an Immersive virtual reality itself? The same hypothesis can be used as a God hypothesis since there are many religions who teach that we are living in an virtual reality. I think such a hypothesis is outside of science.